If you fancy driving around in the car that has set all the benchmarks in the executive saloon market for the last few years, you don’t need to look beyond the BMW 3 Series Saloon. The ‘perfect car’ might not exist, but the new 3 Series is going to satisfy a lot of customers, thanks to its low running costs, its prestigious image that makes you feel awesome when out on the road and the fact that it’s an absolute pleasure to drive. The car has been around for over forty years now, and it’s never been more at the top of its game. Desirable and practical, it ticks every box you’ve got on your list. 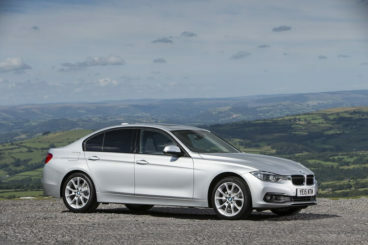 OSV takes a closer look at what it’s all about with our BMW 3 Series Saloon review. At the heart of this car’s essence is an entertaining drive. Plenty of grip, well-weighed steering and firm suspension ensures that you can tackle twisting roads with fluidity and confidence. Adaptive dampers are available as an optional extra, and we suggest that you snap them up as they really do enhance the way this car moves and feels. It’s just much more graceful and helps the saloon to control its body well. Ride quality also improves. A six-speed manual transmission comes as standard, but you can add an 8-speed automatic ‘box for an extra £1,500 if you wish. OSV recommends doing so because it’s just a lot smoother than the manual gearbox – and it’s also more efficient. In terms of the engines, the petrol range kicks off with a performative 1.5-litre three-pot unit that powers the 318i from rest to 62mph in 8.9 seconds. You have to work the engine quite hard for best results, but it’s nice and refined. Next up is a 320i model that’s followed by a 330i variant that can get you from rest to 62mph in just 5.9 seconds. However, you might find that you don’t need so much pace and power and that one of the entry-level models will suit you just fine – especially if you’re going to be doing most of your driving in and around towns. There is also a high-performance M3 saloon in the ranks, as well as a hybrid model that combines an electric motor with a 2.0-litre petrol engine to offer you 249bhp. It does away with the 0-62mph sprint in 6.1 seconds before maxing out at 140mph. There are also a handful of diesel engines to choose from, too. All are quick, with the base level model taking just 7.5 seconds to get you from rest to 62mph. All the engines are entertaining, but the diesels are more fun, owing largely to a softer suspension setup. The only disappointment with the driving experience is the fact that the steering is less direct than we’ve come to expect from a 3 Series down the years. Like their German rivals, BMW has developed quite the knack of producing cars with top-class interiors, and they’ve come up with the goods once again here. The dashboard is well laid-out and is very driver-oriented. The wraparound design looks smart, and the dials and controls are all where you’d expect them to be. Everything is easy to read, reach and operate, and there are no surprises. We like the white climate control dials, which are a bit of a clever touch. They stand out so much more than the black ones of old. This is a fairly practical family car, but it’s not as spacious as the likes of the Skoda Superb or the Volkswagen Passat. It is, however, the largest 3 Series so far and can comfortably accommodate front and rear seated passengers. Head and leg room is satisfactory, though the high transmission tunnel running down the middle will continue to be a problem for anyone sitting in the middle. There are plenty of useful storage spaces in and around the cabin, including reasonably-sized door bins, a huge glovebox, and two cup holders. ISOXIF child-seat mounts come as standard across the range, though the doors don’t open as wide as we know you’d like. This can make access tricky if you need to lift kids in and out of the back. Visibility is good, but the optional parking sensors should be on your list of things to buy, while the boot measures 480-litres. It’s a very usable friendly boot. It has a good shape, which ensures that sliding in bigger items is fairly easy. If you opt for the hybrid model, the boot shrinks to 370-litres. Prices for the new car start out from £21,000 and rise to £41,000. For more information on our leasing deals, you can check out our page here. When it comes to running costs, the car fares impressively, with no diesel engine returning less than 50mpg. The 320d EfficientDynamics is the cheapest engine of them all and can return 74.3mpg while emitting less than 100g/km of CO2. 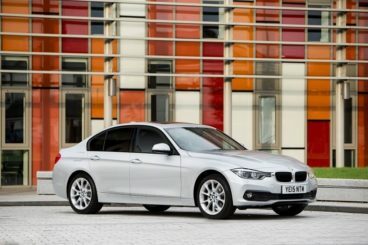 The 330d is quicker, but fuel economy returns drop to around 56.5mpg, which again is still eye-catching, especially when you consider the amount of performance on offer. Meanwhile, the range-topping 335 diesel is good for 51.4mpg. The petrols are unsurprisingly less economical, but if you don’t plan on doing a huge amount of driving each month, they’re worth a look. Benefiting from stop-start another fuel-saving kit, they’re also turbocharged. As a result, the 318i model is capable of achieving returns of around 51.4mpg while emitting just 129g/km of CO2. Insurance-wise, the 3 Series leans towards the more expensive side of things, with the entry-level diesel model falling into group 20. There are a few cars in this class which arguably offer more space – such as the Volkswagen Passat and the Skoda Superb – but they lack the upmarket image which this BMW undeniably has. Each time you fire it up, you feel as though the red carpet should be laid out for it. The listing price is fairly high. Had it been expensive to run, a few of you may have been put off by now. As it turns out, the BMW 3 Series’s range is stuffed with powerful engines that are remarkably low on both economy and emissions. The car continues to be the exec saloon against which all pretenders are judged in this sector. For some buyers, entertainment on the road is an added bonus. With this one, you’ve hit the jackpot. It doesn’t come cheap. Leasing at least provides a more manageable alternative if finances are tight. The car falls short when it comes to practically, and rear space is an issue. Despite this model having bigger dimensions than ever before, rear seated passengers are still likely to grumble. 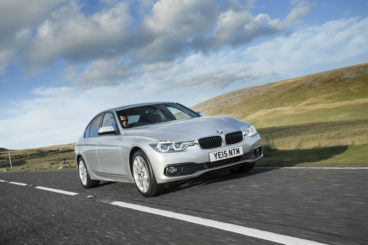 Let’s see how the car fares against its closest rivals in the comparison section of our BMW 3 Series Saloon review. 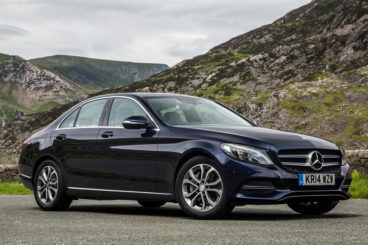 The new Mercedes C-Class saloon comfortable, upmarket, and now boasts lower running costs than ever. The Mercedes team have managed to shed 100kg from this car’s weight, which means it’s agiler when approaching bends and is overall more fun to drive. It isn’t quite as entertaining as the 3 Series, but it’s a lot more engaging than its predecessor. Ride quality is also good, although how good it is will depend on the suspension setup that comes with the model you choose. Air suspension is offered as a £900 optional extra, and this improves the way the car absorbs lumps and bumps considerably. There isn’t much to separate the petrol engines when it comes to performance, with the base-level unit taking a rather astonishing 7.5 seconds to cover the 0-62mph dash. There is a hybrid model on offer, which combines a 208bhp petrol engine with an 80bhp electric motor for some stellar performance. It can get you from rest to 62mph in a matter of 5.9 seconds. There is also a diesel hybrid available, and it covers the same distance in 6.4 seconds. 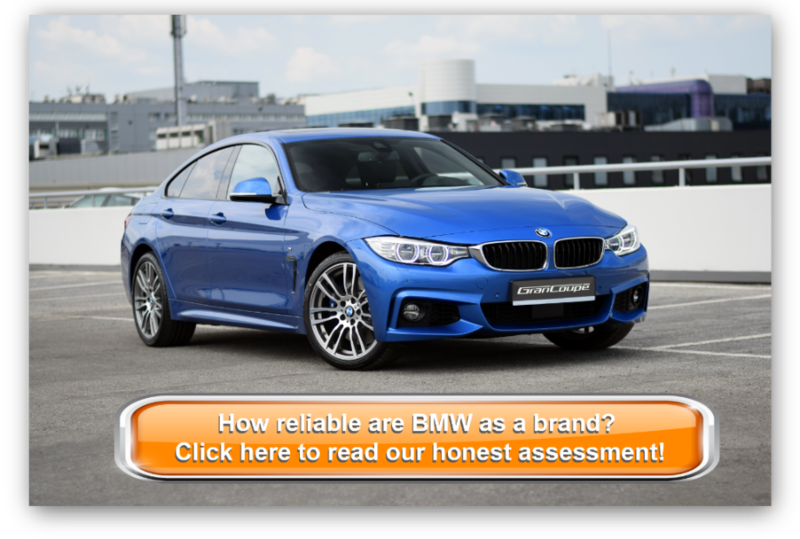 Standard equipment across the range is good while running costs are not far behind what the BMW can offer. For example, the cheapest engine to run is the C220d, which is good for 70.6mpg. The cabin is one of the C-Class’s strengths. The fit and finish befit a premium saloon, while the design is slick and contemporary. The seats offer support and comfort, with the only downside being a rather noisy diesel that will grate. It isn’t very becoming of an upmarket saloon. In terms of practicality, the C-Class Saloon largely struggles from the same issues that have beset the BMW. Despite having bigger dimensions than before, it isn’t able to accommodate rear seated passengers, as well as anyone, would like. Moreover, a sloping roofline impinges further onto already compromised headroom. The boot, meanwhile, measures 480-litres. The new Volkswagen Passat Saloon might not have the BMW 3 Series Saloon’s badge appeal, but it can boast an upmarket interior, plenty of space, and low running costs? When it comes to driving enjoyment, the Passat has never been mentioned in the same breath as the BMW – except disparagingly, perhaps! However, improvements to the underpinnings mean that this model is better to drive than ever. It’s stronger but weighs less, and as such is robust and agile. The steering is precise, and there is a lot of grip on offer here. In terms of the engines, a 2.0-litre 148bhp diesel power plant is our top pick. A reasonable amount of power combined with refinement and smoothness make it easy to live with. There are other diesel’s in the range, but they’re all flawed in some way. For example, the 1.6-litre engine lacks refinement. 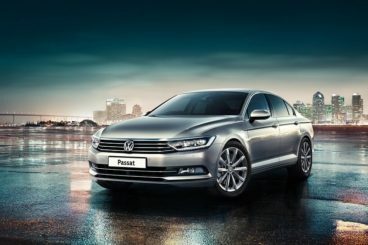 There are no petrol engines available with the Passat, but there is a petrol-electric hybrid model which dusts off the 0-62mph dash in just 7.6 seconds and delivers 278bhp. Whereas fuel economy in the BMW doesn’t drop below 50mpg, with the Passat it doesn’t fall below 60mpg. The cheapest model to run is the hybrid, but if you want a conventional diesel engine, the 1.6-litre unit is good for 76mpg. Think the Passat can’t compete with the BMW when it comes to interiors? Think again. This is an upmarket cabin that is a class above its direct rivals. It’s quiet and comfortable, visibility and adjustment is good, and the dash is forged from top-quality plastics. Flashes of chrome are a nice touch, and although this isn’t a premium car itself, it represents a solid alternative to the 3 Series. It also majors on practicality, scoring points for being able to offer rear seat passengers more space than most exec family saloons. Storage spaces are in abundance, while the boot now measures an impressive 586-litres. The new 3 Series continues to be the class leader, holding onto the position its had for the last forty years. While being a class leader should certainly give you the confidence that this represents an excellent buy, it should by no means be the only thing that sways your decision. After all, it’s a matter of personal taste and what suits you the best. But the BMW 3 Series Saloon holds all the aces; when it comes to entertainment on the road, efficient engines and sophistication, it can’t really be bettered.